« Genetic Codes for Skin and Lung Cancer have been Busted! 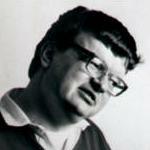 Kim Peek (November 11, 1951 – December 19, 2009) was an inconceivably gifted savant. In today’s terms we might describe him as a living version of Google, but far better. He could of course, give you driving directions to any place in the country, and open the entire course of human history with names, dates, facts and figures to astonishing accuracy, but he was more than this, he was a person. He was a person doing things that no one would think a person could do, and that is the signature of savantism. It is important to remember that savantism is not autism, although it very often occurs with severe forms of autism, what really is key to the condition is memory. Mr. Peek could read a book in a fraction of the time it would take a normal person. He would read the left page with his left eye and the right page with his right eye; and whatever he read, he remembered. Some savants can memorize digits to thousands, or tens-of-thousands of decimal places, play complex music after one hearing, or recreate images or scenery of vast complexity from a glimpse. What underlies all of these abilities is a fantastic memory. Will we ever understand, how Kim Peek, the most brilliant memory documented by science worked? Many are trying to figure out this neurological puzzle. One of the clues to Mr. Peek’s inner workings might lie not in the gain of some abilities, but instead in the loss of ability. According to the Wisconsin Medical Society, “He had an enlarged head, with an encephalocele, according to his doctors. An MRI shows, again according to his doctors, an absent corpus callosum — the connecting tissue between the left and right hemispheres; no anterior commissure and damage to the cerebellum.” Some neuroscientists have argued that these missing structures allowed his brain to work in its own unique way, and that what really was different about Mr. Peek was not that he could remember, but that he could recall, and in fact not forget what he had learned. What would it be like to have at least some of these abilities? What I think all savants show us is that there is some untapped potential within all of us, a potential that we somehow are unable to access. We also see that these abilities seem to come at a high price of diminished social or physical functioning. Will there be a time when we can access these abilities, when we understand more about the brain? Would these abilities be as valuable as they appear to be? I guess we will have to answer that question if any when we get there. Print article This entry was posted by Jason Williams on December 28, 2009 at 12:30 pm, and is filed under G2C Online. Follow any responses to this post through RSS 2.0. You can skip to the end and leave a response. Pinging is currently not allowed.